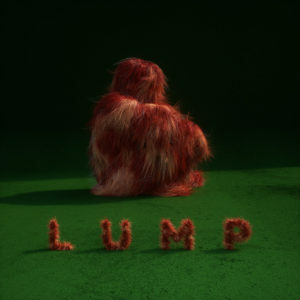 Often the best albums you hear are not the ones that come with a huge fanfare, but those that are a suprise, that kind of appear, pique an interest and then hit you whack in the face. For me in recent years the comeback album from Dexys, One Day I’m Going To Soar, John Grant’s Pale Green Ghosts and for certain David Bowie’s Blackstar all fall into that category. You knew they were going to be good, just because of who was releasing them; but you didn’t know how good until you heard them. 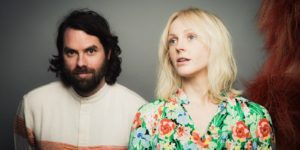 And added to that list is the new album, released on the 1st of June, from the collective known as Lump, Mercury Prize winning producer Mike Lindsay and folk pop chanteuse Laura Marling. The album came to my attention after hearing the first single, Curse of the Contemporary, which was included on a recent free CD with Mojo magazine. Amongst other excellent songs from the likes of Courtney Barnett, Curse really stood out, creating a level of expectation that wasn’t in any way let down by listening to the album as a whole when I finally got to play it. In fact I’d go as far to say that the already high expectation was exceeded on the multiple listens the album has. Indeed, when a musician friend popped round on Saturday afternoon the first thing I did, after opening a beer, was play him this track and then the album in the certain knowledge that he’d enjoy it too. The first thing to note is the brevity of this work as an album. Coming in at a shade over 30 minutes long with just seven tracks it is nevertheless a beautifully put together piece of art, saying what it needs to say in that brief time the artists gave themselves. Marling’s lyrics are gorgeous and sang in her voice that is equal parts reminiscent of peers and contemporaries such as Sandy Denny, Kate Bush and P.J.Harvey whilst also being her own voice; Marling has a vocal style that floats dreamily whilst retaining a sharpness of phrasing that does indeed, as the front cover words say, ‘slice through the apparent emptiness of contemporary life.’ There is no need to over egg the pudding with Marling’s singing, she has an empathy and understanding of what makes a song beautiful, which all seven tracks are. That simplicity and beauty is carried through in both the musical accompaniment and production by Mike Lindsay. He brings a gentle touch to proceedings that complement and add to what this pair try, and succeed, to bring to the recording. This is a partnership so obviously born out of mutual friendship, respect, understanding; like finding a soul mate in real life, these two are plainly two halves of a whole being that have come together in a perfect storm of musical brilliance. I cannot recommend this album enough. Go buy it, just be prepared to be seduced and enveloped in its awesomeness, prepare to fall in love over and over again.